Bushey Heath was a proposed, but unbuilt, London Underground station in Bushey Heath, Hertfordshire. The planned location of the station was at the junction of the A41 and A411 roads. The station was the last of three planned by London Passenger Transport Board (LPTB) in 1935 for an extension of the Northern line from Edgware. It would have served as the new terminus of the line. The proposed station was at first to be called Aldenham, and there was considerable debate before the various parties agreed on 'Bushey Heath'. The previous station on the route would have been Elstree South to the east. The extension was part of the Northern Heights project which was intended to electrify a number of steam-operated London and North Eastern Railway (LNER) branch lines and to incorporate them into the Northern line. Much of the land for the extension came from the purchase in 1922 by the LPTB's precursor the Underground Electric Railways Company of London of the unbuilt Watford and Edgware Railway (W&ER). The W&ER had planned an extension of the Edgware, Highgate and London Railway to Watford Junction via Bushey, but it had never raised the capital required and it's powers to construct a line had expired in 1911. Construction work on the Northern Heights project began in the late 1930s but was suspended by the outbreak of the Second World War. Most of the work undertaken to that date had been carried out on the existing LNER branch tracks. The land required for the new route had been purchased and some construction work between Edgware and Elstree had taken place. Construction of Bushey Heath station had not started when the Second World War began so the land was used temporarily as allotments or for farming use. The sites of all three new stations were in semi-rural locations and, as had happened elsewhere, it was intended that the opening of the new section of Underground line would stimulate the construction of new residential estates that the stations would then serve. After the war, however, new legislation was introduced with the intention of limiting the continuing expansion of urban areas into the surrounding countryside. This legislation created the Metropolitan Green Belt around London and the area designated included the area covered by the new Northern line extension. Without the possibility of constructing the new housing estates, the new line had no purpose and the plans for the extension were cancelled in 1950. 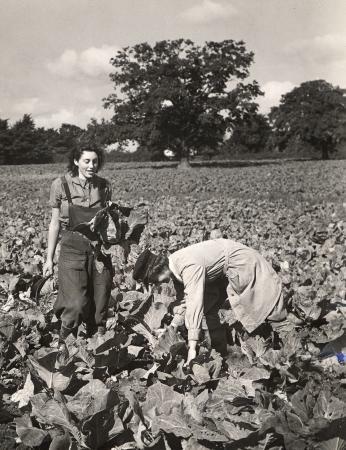 During the war, the depot buildings were used for the construction of Halifax bombers and the land owned by London Underground at Bushey was used for farming. After the abandonment of the extension plans, the depot buildings became Aldenham Bus Overhaul Works. 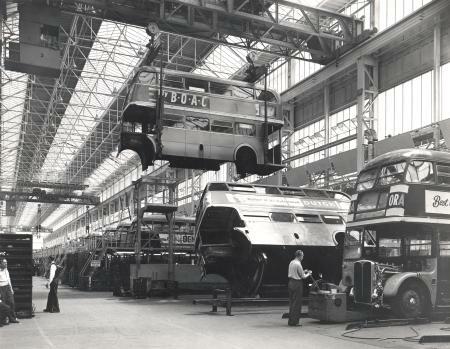 As a result of the breakup of London Transport Buses and the devolving of maintenance functions to the depots of individual bus companies, the overhaul works ceased operation in 1986. The premises stood derelict until 1997 when it was demolished and replaced with the Centennial Business Park. Footage of the overhaul works in operation can be seen in the opening scenes of the 1963 film Summer Holiday starring Cliff Richard. This page was last edited on 17 February 2019, at 18:14 (UTC).